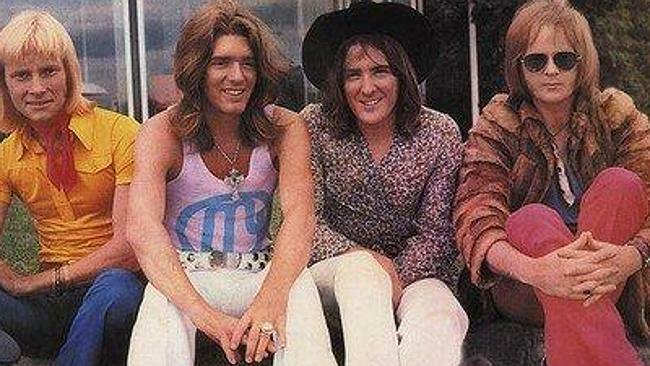 Vale Jim Keays. You signed your name on my left wrist about forty years ago, and for weeks and weeks afterwards I kept it there, with the occasional touch-up to keep it legible. I don’t remember ever washing it off- perhaps the summer spelled the end of it, or perhaps it began to look so over-written that it lacked authenticity. When I heard of your death last week, I realized that though the signature has faded, my affection for you hasn’t. 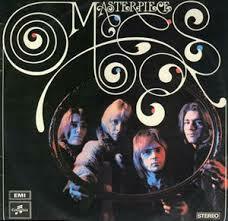 You burst into my life at the Banyule High School social, held at Scots Church Hall in Burgundy Street in 1969. Looking back, it must have been the junior social because Scots Church Hall was a small, rather unprepossessing hall where I had bumbled my way through calisthenics two years previously, and it couldn’t possibly have accommodated a school social for a school nearing 1000 students. Nor do I remember the presence of those impossibly cool 4th, 5th and 6th formers who drifted through the corridors so confidently who, had they been there, would have dominated any whole-school social event. In your autobiography “His Master’s Voice” you described the mad rush on Friday and Saturday nights between locations at town halls and venues all over Melbourne in a manic round-robin with other bands of the day: Zoot, Town Criers, Axiom etc.. This mid-week gig wasn’t like that: you were the only act on stage and you stayed all night. You’d just released ‘5:10 Man’. And there I was, probably too shy and inhibited to dance, pressed up against the stage watching you gyrate in your skin-tight black leather outfits. In your book, you explained that you saved a fortune by not having your clothes ripped off every night. All I can think of now is that those leathers must have absolutely reeked. It was probably my first exposure to raw adult male sexuality, flaunted so provocatively. And so began my Tuesday night ritual, walking around to the St James Rd shops to pick up Go Set to find out where your songs were on the charts and what you were up to this week. The St James Rd shops at that time boasted two milk-bars (the ‘top’ milk-bar and the ‘bottom’ milk-bar), a wool shop, a two-aisle grocers, a butcher, a hairdresser and a fruit shop. [Today, beyond a massage centre and a closed reptile shop, it’s all just small offices.] I received 25c pocket money a week, with which I could buy Go Set for 20c and twenty Tarzan jubes at four a cent. I’d walk home slowly, reading Go-Set as I went, with its very wonky printing, manic layout and its columns by Lily Brett and Molly Meldrum. Apparently, a friend tells me, I was enraged enough to write to Molly to take him to task for attacking you- something I have no memory of at all. Occasionally there would be a colour poster, and it would join the other pictures of you that I had sticky-taped onto the inside of my wardrobe door because I wasn’t allowed to sticky-tape pictures to the wall lest I damage the pink paint. You’d appear on television, all decked out in your leathers, miming away to your own songs on Up-Tight and Happening 70, shambolic four-hour shows on a Saturday morning that became a much-missed feature once I got a Saturday-morning job at a hardware store. I joined the Masters Apprentices fan-club and each afternoon arrived home from school hoping that there would be a newsletter. There rarely was, although when one finally did arrive, it was a bulky, typewritten, black-and-white roneo-d and stapled production that gave much pleasure. 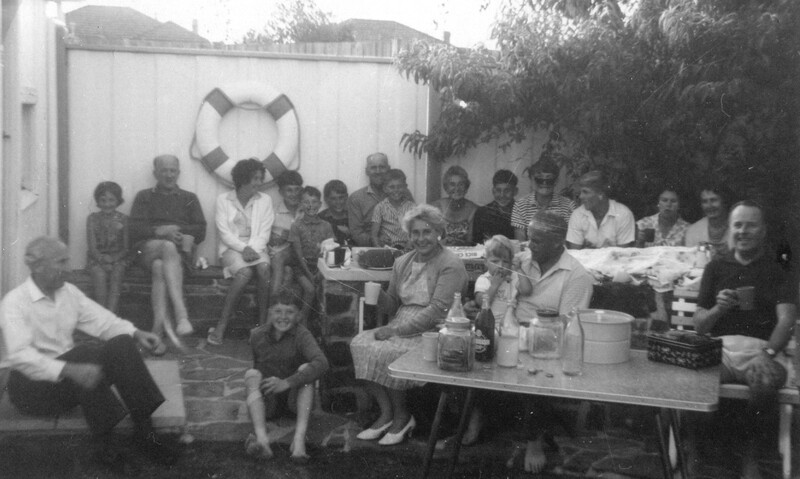 At one stage ‘Denise, Di and Mrs G.’ put on a function at their house in the eastern suburbs somewhere (Bayswater maybe?) and what seemed like hundreds of girls crammed into their small house, spilling out into the backyard with a fibro garage. Some time later there was another function, this time at Croydon Park, and this time I achieved my dearest wish- you kissed me (along with hundreds of other clamouring fans). Ti-tan- IC! Ti-tan- IC! Ti-tan- IC! The sound of bubbles being blown into a glass of the water as the song faded out was a whimsical touch that even then struck me as rather ridiculous. Then you went to England, and although Go-Set continued to report on you, you sailed out of my life. But I still always followed your career, and was delighted to re-encounter you at Melbourne Zoo as part of Cotton, Keays and Morris, and again right in my own home territory at Sills Bend, just down the street from that Scots Church gig some forty years earlier. By now you were one of the elder statesmen of the 1970s rock scene, and performing in combination with Darryl Cotton (now also deceased) and Russell Morris (who just keeps getting better and better), I think that I was more appreciative of your talent than I ever was at the time. You’ve been ill for a number of years, but still rocking on, almost right to the end. 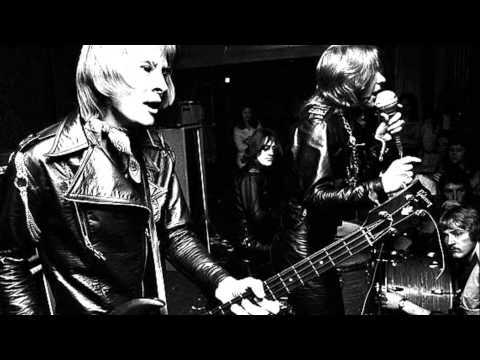 You recently described your music as ‘garage punk’ and I look back at myself in wonder that I could ever have enjoyed such a genre. So, thank you Jim Keays. My fourteen-year-old self adored you; my fifty-something self admires you, and we both regret your passing. Christmas seemed so much more fun when you were a kid. Will our children and grandchildren look back at their Christmases with such fondness? I hope so. My Mum was the youngest of seven and no doubt as the spoilt youngest child, managed to avoid doing Christmas dinner until I was about thirteen years old. Until then, every Christmas was the same with lunch and dinner over at Auntie Flo’s and it is these Christmases that I think back on. Father Christmas would come as he could always be relied to do, leaving presents in a pillow case at the end of the bed. He was an orderly Santa- along with larger presents there would always be a rectangular box of assorted lollies that included Fruit Pastilles (both multicoloured and blackberry), a Choo-Choo bar and a Kit Kat. There would be a glass jar jar of puce-coloured candied peanuts: the jar itself bore a very strong resemblance to a jar that might once have held Vegemite or Kraft Creamed Cheese spread, and I’m almost sure that it did. Among other presents, there was always a book for me, sourced from a large box of remaindered children’s books that my parents bought at auction somewhere. As a result, the book itself was pretty hit-or-miss, although one year it was Charles Lambs’ Tales from Shakespeare , another year a collection of Greek myths. One particularly memorable year there was a wooden paddle-board that obviously didn’t fit in the pillow case which was maneuvered into my room by Santa with much un-Santa-like giggling and muffled laughter. On another earlier Christmas, Santa brought my doll Debbie in a pink dress in a proper doll box. There was always, always an orange at the bottom of the pillow case. Then over to my Auntie Flo and Uncle Ted’s for Christmas lunch. They lived in Waiora Rd Heidelberg Heights in a house with huge gardens, overlooking the Yarra Valley right across to the Dandenongs. I always loved going there. Although I was a little scared of my uncle’s very dry sense of humour and bristling moustache, I loved my Auntie Flo, my favourite aunt and my godmother. Girl cousins were fairly rare in my family- four girls to eleven boys. Auntie Flo didn’t have a daughter, and I always felt very special with her. My cousins Wayne and Paul held all of the attraction of older male cousins: they were handsome, funny and big and very affectionate to their little girl cousin. The Christmas I can remember most clearly was a very hot day, so the canvas awnings were all pulled down, bathing the inside of the house in a green, almost underwater light. The house smelt of Christmas pudding that would have been bubbling away for hours: I now make the pudding for my own family to the same recipe, amused every year at how much alcohol is in this pudding that was eagerly eaten by a family of teetotallers (3 tablespoons of spirits; 200 ml beer). After lunch, more presents- always something special from Auntie Flo, and once even a doll’s house WITH STEPS made by my cousin Wayne in woodwork, all decked out in curtain and carpet scraps from their own decorating and my initials JL in gold paint over the front door. I'm sitting on the extreme left hand side at the back. My brother Colin is sitting 5 from the left with Auntie Flo in the middle, 9 from the left. I THINK that Cousin Paul is wearing sunglasses 11 along, with his brother Cousin Wayne turning towards him. Mum is seond from the right hand side. Uncle Ted is sitting on the ground at front left, and my brother Rohan is sitting on Dad's lap front centre. After lunch, the other cousins would come over- all older than us- and loud and funny and boisterous. Auntie Flo and Uncle Ted had a fully tiled inground pool, which was rare in those days, complete with a changing room up the back, and footbaths set into the concrete to wash the grass from your feet before going in. Once the obligatory and scrupulously kept hour for our “dinner to go down” elapsed (does anyone do that these days? ), it was into the pool. They had inner tube tyre rings in the pool, and there would be a rough game of pool basketball, races up and down the pool and pool-wrestling perched on top of my cousins’ shoulders. Once our fingers were corrugated and our lips blue with the cold from being in for so long, we’d play shuttlecock on another terrace of the lawn, with the shadows from the trees lengthening around us. Yet more food- cold meat brought by my butcher Uncle from Geelong (and maybe the butcher uncle from Reservoir? ), salads, my mum’s famous pavlova and my Auntie Flo’s shortbread. I once announced that I prefered Auntie Flo’s shortbread to my mother’s: I was not popular. Another family of cousins had joined us by this stage, and then there would be the third round of presents, although often smaller ones by this stage. By now, there would be much rubbing of little eyes and we’d head off home. We travelled out of our way to see the Boulevard lights in East Ivanhoe- strings of multicoloured globe lights and decorated gardens. There would be one or two illuminated houses, then a few more, then the main display, concentrated in the middle of this long, curving street. Crowds would cluster around these main houses, and the traffic would slow to a crawl. Little did I realize that some 15 years later I would marry the little boy who then lived in the house on the bend with the most spectacular lights, and that 20 years later the week-long display of “the lights” would be an integral part of my own children’s Christmas. But gradually the gaps between the displays would get wider and wider, until there would be just one or two outlying houses and the car would finally reach Burke Rd. It was then- and only then- that I would know that Christmas was over for that year.